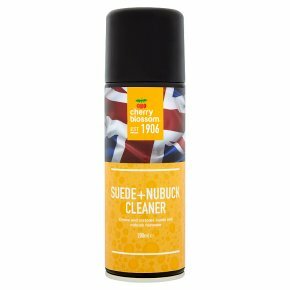 Cleans and restores suede and nubuck footwear.Gentle yet effective cleaner for all suede & nubuck shoes and accessories. Instructions: Apply a small amount of foam to article. Using a soft sponge or brush, gently work foam in circular motions. Lightly rinse and allow to dry naturally. May lighten some articles. Brush up nap if necessary using a suede brush. Apply to an inconspicuous area first to test suitability.